Starwood Mastercraft filed a rezoning application (full details online here) to allow it to continue to use 115 Champagne (at Hickory) as a parking lot . The application follows on the heels of a failed bid by the developer for permission to operate the lot (on which they store cars for a local dealership) before the Committee of Adjustment in January 2017. The City, CHNA and residents argued forcefully against the proposed use before the Committee. The Committee of Adjustment agreed with the City, the CHNA and residents and refused the request. In May, the owners withdrew their appeal to the Ontario Municipal Board, only to try again in the Fall of 2017 by filing this rezoning application. Comments on the application are due Jan 9th and we encourage residents to send in their concerns. The submission by CHNA can be found below. A link to comment online can be found here. Outdoor storage on a residential site is an illegal and inappropriate use. The applicant has not put forward any evidence that this use is in the public interest. The owner of the property is not living up to the terms of the site plan agreement. The proposed land usage is in violation of the commitments made to residents in the Preston-Carling Secondary Plan. 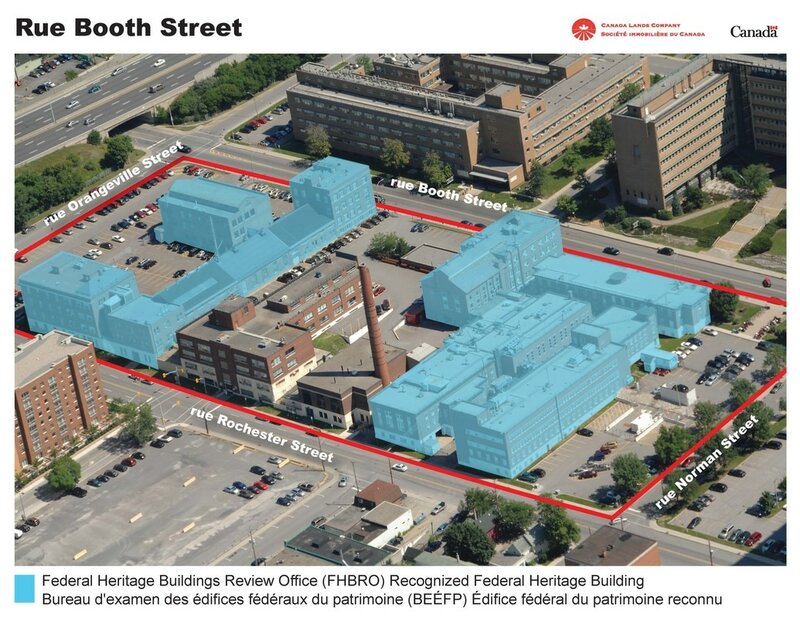 Should this application be approved, the precedent could have far reaching, negative implications with respect to adherence to conditions of site plan agreements throughout the City of Ottawa. Should this application be approved, residents who live in districts of the city zoned for intensification will learn that city officials have no interest in the liveability of their communities during the long-term process of intensification. You can find a copy of CHNA's full submission HERE. Canada Land Corporation is a non agency crown corporation that develops surplus Federal lands. 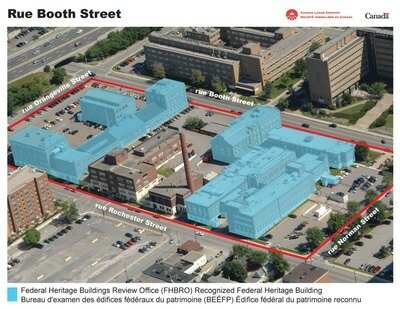 They kicked off the visioning for the reuse of the NRCan property on Booth Street on Jan 25th. The process starts with a blank slate and invited community members and associations to submit their ideas and comments at the meeting and via an online survey. As this property borders on CHNA's district and will be adjacent to the new Civic property, CHNA attended the meeting and intends to participate directly in the process. Community ideas will be added to ideas that enhance the commercial value to create a mixed use vision for the property. This early vision will be reviewed to a small advisory group in spring. Once tweaked, the public will get a chance for review and input in late May. The CLC will then rework the plans over the summer with a final public meeting in the fall. If all goes well, they will go to the city seeking zoning approvals in late 2017, early 2018. Please check out the ﻿website for this project ﻿and fill in a survey with your thoughts. 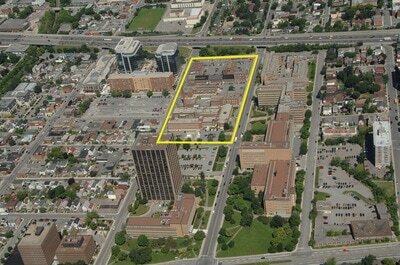 CHNA singled its objection to the staff recommendation that the Mizrahi development proposed for the corner of Island Park Drive and Wellington Street (1445-1451 Wellington be considered a "landmark" building. .
CHNA was very pleased to have a speedy response from Ministry of Transportation officials regarding its 2015 submission. Here are our comments with the MTO's responses. 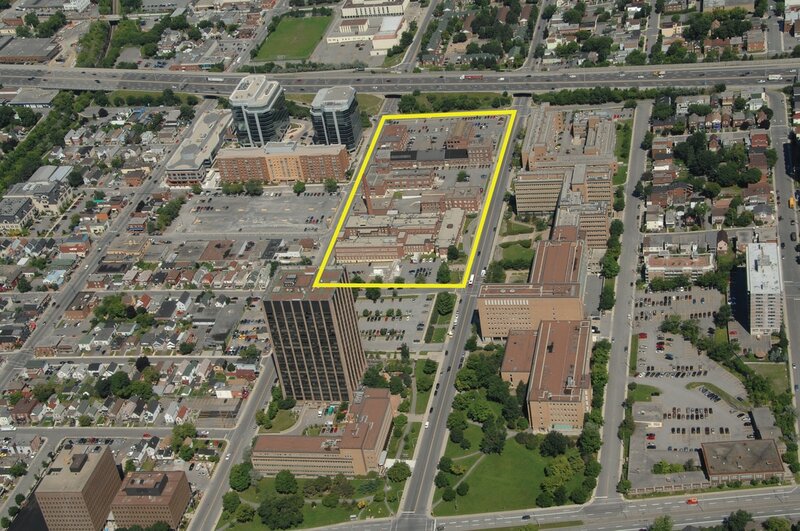 On July 7th, 2014, CHNA submitted its comments on a proposal from Ashcroft Homes for a 28 storey building containing 156 student rooming units on the site of the former Ottawa Humane Society site adjacent to Ev Tremblay Park. CHNA recommends that the City insist that the builder strictly adheres to the zoning for this location, that the builder provides setbacks or step-downs that minimize the shading of the park; and that the developer provides more bicycle parking for residents and additional visitor parking spaces. The text of the CHNA submission is attached.